A state of armed conflict between two parties, known as War to us. Many wars have been fought over the years, from ancient times to modern times. But stories of such battles are always reaching us as facts or statistics. Some of the best filmmakers make sure that the human side of the stories reaches to us. Films that make us feel the pain our soldiers went through, including Post-Traumatic Stress Disorder (PTSD) during D-Day. Let it be India, America, Pakistan, Iraq, Afghanistan, Vietnam, etc. its all the same here. Since most of these are historical war movies, you might have known the story before, but isn’t that the exciting part? All these combat actions by the soldiers take us to the history classes we missed. 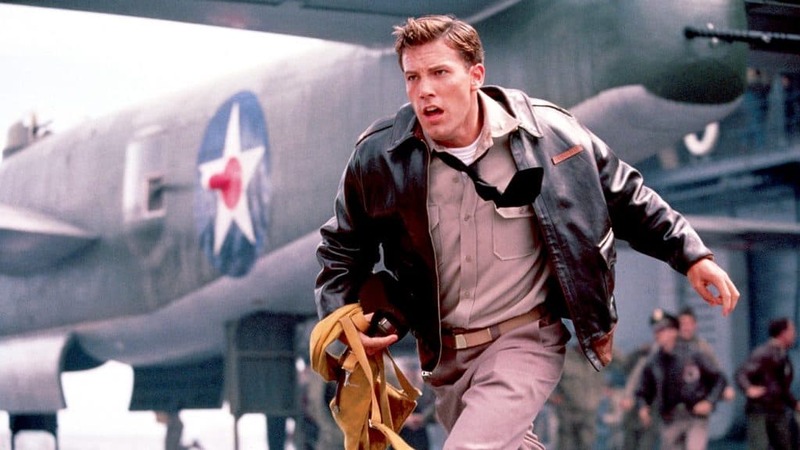 Here’s a list of best Hollywood War Movies based on true stories and events. These are not just the films based on war (WW1, WW2, etc. ), but even about Military and Army world. We managed to include both the old and new movies on this list! Imprisoned in German POW camp during World War II, a group of allied forces soldiers plans to break out from the prison. But not just get out, they want to divert German soldiers attention as well so that coalition forces can take over. But when their escape becomes a reality, they realize that the stakes are much higher than they thought. Chris Taylor, a student, gives up his studies to enlist in Vietnam war. But when he gets to the ground, his courage and idealism fade. A growing hidden conflict between his two staff sergeants turns the soldiers against each other and then, all hell breaks loose! What happens when two friends come under training for Vietnam war? One of them takes a detour, and another one graduates to Marine Corps and is shipped to Vietnam as a journalist. But even he gets stuck covering and eventually participating in Bloody Battle of Hue. Will he survive to see another day? Oskar Schindler wants to make money from the brimming World War II. He wants to open a factory in Krakow but lacks workers. Thanks to his political expediency, he hires Jewish workers in his factory. 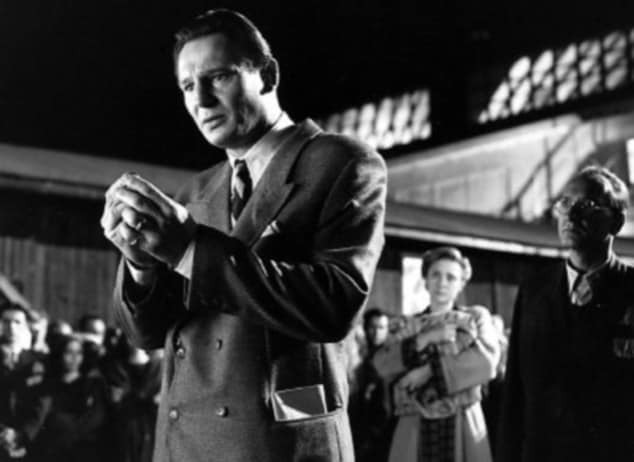 But when SS begins the extermination of Jews in Krakow Ghetto, Schindler pulls up his sleeves to help his workers and save them. A Spielberg masterpiece, Saving Private Ryan is a powerful, realistic re-creation of WWII’s D-day invasion and its immediate aftermath. Tom Hanks essays the role of Capt. 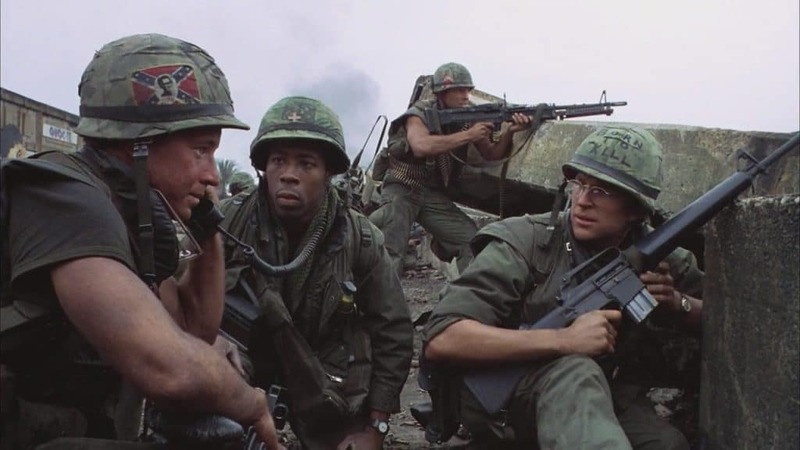 John Miller (Tom Hanks) who along with his men locate Pvt. James Ryan (Matt Damon) and get him back to the United States. This close-knit squad goes through a barrage of enemy fires and loss of life to locate one soldier using their experience from the exploits of Italy and North Korea. What makes this film so good? The 24 minute Omaha Beach scene could only be created by Spielberg. With bodies of US soldiers scattered everywhere, the place looks no less than hell. Set during the World War II, ‘The Thin Red Line’ is a drama film based on James Jones’s autobiographical novel. The film is about one man, Private Witt, who is left on a Pacific island with the natives. A deserter who now lives a life of peace and harmony, Witt finds himself captured and debriefed by the US Navy. He is soon assigned to a new role at the Battle of Guadalcanal but little does Witt, and his fellow soldiers are aware of what awaits them. ‘Men of Honor’ is a military drama based on the life of the first African-American diver to serve in the United States Navy, Carl Brashear. The film boasts of some fine acting by Cuba Gooding Jr. who plays the role of Brashear and Robert De Niro as Master Chief Billy Sunday. The film portrays Brashear’s life, from being in a sharecropping family to living his dream in the US Navy. While in the diving school, a young Carl Brashear is subject to severe racism with his white comrades refusing to share even barracks with him. Eventually getting impressed by Brashear’s sheer courage and determination, Master Chief Sunday takes, Brashear in and becomes his ally in fighting the prejudice, military bureaucracy, and even a crippling injury to make his dream come true. Based on true story of a Russian sniper Vasily Grigoryevich Zaytsev, The Enemy at the Gates features the battle of Stalingrad which was fought for 5 and a half months between Nazi’s and Russian Army. During this struggle, a sniper caught everyone’s attention that killed 225 Nazi soldiers using his skills. Based on real-life historical events, the movie captures the story of two best friends who fall for the same girl. Rafe and Danny both enter World War II as pilots. Rafe is so eager to fight that he joins England’s Air Force command. Back at home, his girlfriend, Evelyn finds comfort in arms of Danny. But when Rafe comes back, he confronts Danny. But everything changes when Japanese troops drop bombs on Pearl Harbour station of Navy. Black Hawk Down is based on a United States military operation that took place in Mogadishu, Somalia, codenamed ‘Operation Gothic Serpent.’ Director by Ridley Scott, the film is based on articles and book by reporter Mark Bowden. The film traces the battle through streets of civil war-torn Somalia when over 100 Delta Force soldiers and Army Rangers are dropped to kidnap two close aides of local warlord Mohamed Farah Aidid. With Josh Hartnett as Staff Sgt. 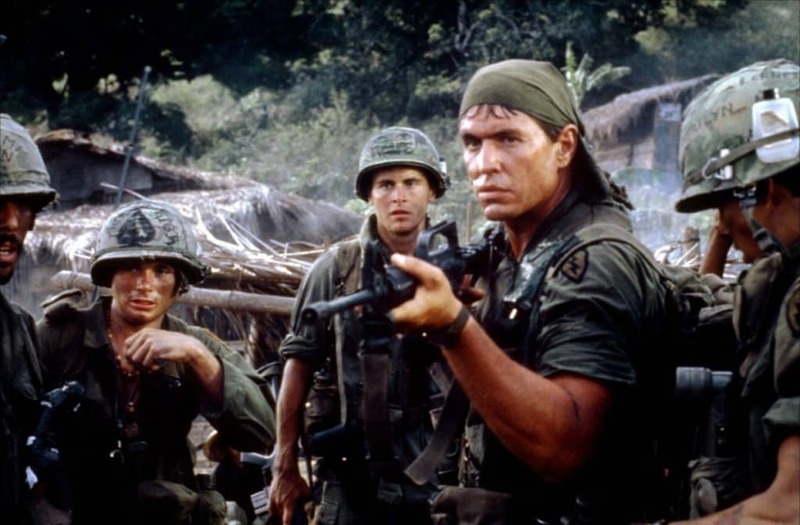 Matt Eversmann, Tom Sizemore as Ranger Lt. Col. Danny McKnight, William Fichtner as Delta Sgt. First Class Jeff Sanderson, Ewan McGregor as Ranger Spec. Grimes and Eric Bana as SFC Norm “Hoot” Gibson, the film holds a solid cast. Voted as one of the top films of the year, the film recreates the scenes of bravery and heroics by the US Forces, who decided to leave no man behind, whether dead or alive. The attraction of the film is its camera work and Black Hawk Helicopters. “You’re at war every time you board this ship unless we’re parked at San Diego Bay.” Behind Enemy Lines stars Owen Wilson as Lt. Chris Burnett, a naval aviator aboard the U.S.S. Carl Vinson. Being out action most of the time, Burnett has become brash and frustrated. Burnett’s life takes a roller coaster ride when his commander, Admiral Reigert (Gene Hackman), assigns him on a photographic reconnaissance over the remote area of the Balkans. During their flight, Burnett and his pilot, Stackhouse capture horrific images that prove genocidal crimes by the local militia. Their F18 is soon shot down, Stackhouse executed and injured Burnett is left to fight for his life. Lokar, a Serbian paramilitary head launches a manhunt to get Burnett before he could expose the crimes to the world. Gene Hackman gives a powerful performance as he heads a covert rescue mission and losing the command of his ship in the process. Based on the best-selling book and true story, We Were Soldiers is a war drama which shows the story of the first battle between the United States and Vietnam forces. A film that depicts bonds of soldiers among their troops truly. The valor, loyalty, and heroism is something which attracted many viewers to this movie. 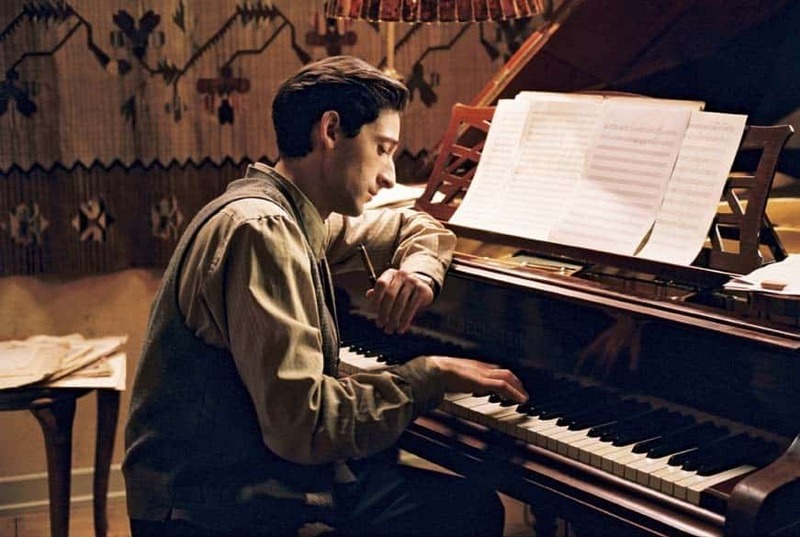 Adaptation of an amazing autobiography, Wladyslaw Szpilman, a Polish Jew plays Piano on the radio station. He sees his town Warsaw change gradually during the World War II. Now take into a ghetto, Szpilman is separated from his family due to Operation Reinhard. To escape Nazi’s, Szpilman hides in various locations of rubble till the time-concentration camp prisoners are released. 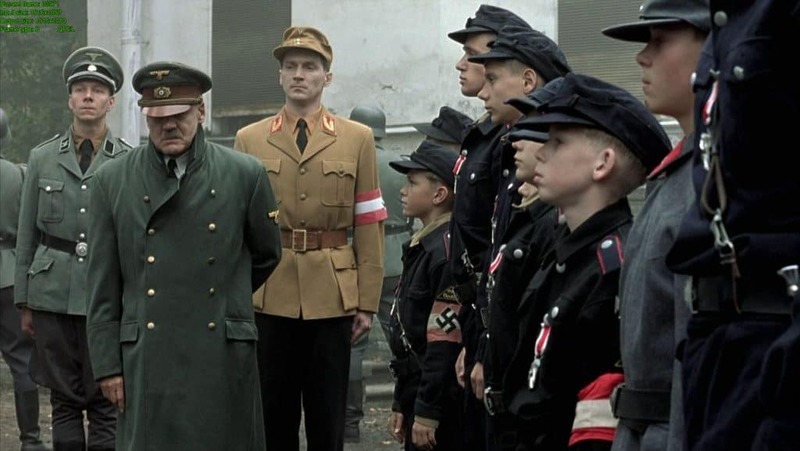 An adaptation of the famous book, Inside Hitler’s Bunker, Traudl Junge gets a dream job as Hitler’s secretary. But three years pass and now Hitler’s empire is now based in an underground bunker. Traudl gives a narration of Hitler’s final days and also share stories about his mistress, Eva Braun and infamous Nazi preparation for the coming end. Some heroes are not Soldiers; they are simply men and women living their life. 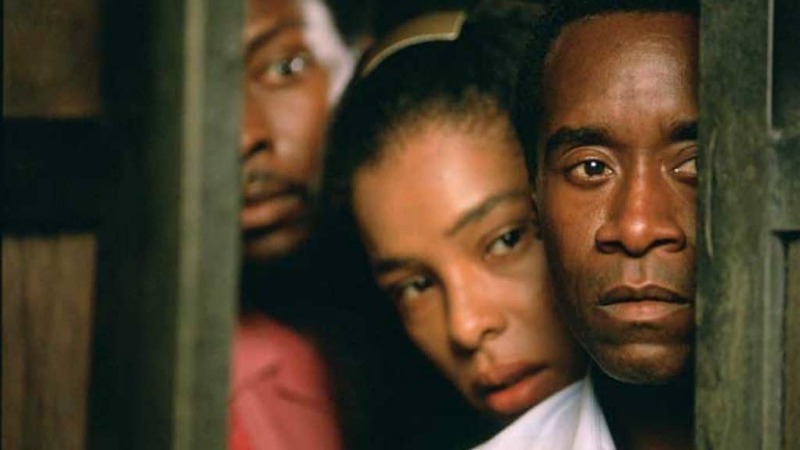 Hotel Rwanda is a story of Paul Rusesabagina, a hotel manager. During Rwanda genocide, he gave refuge to thousand Tutsi people to save them from Hutu militia during the Rwanda Genocide. Old buried letters from an Island reveal a tale of struggle and survival at a small Japnese Island during World War II. 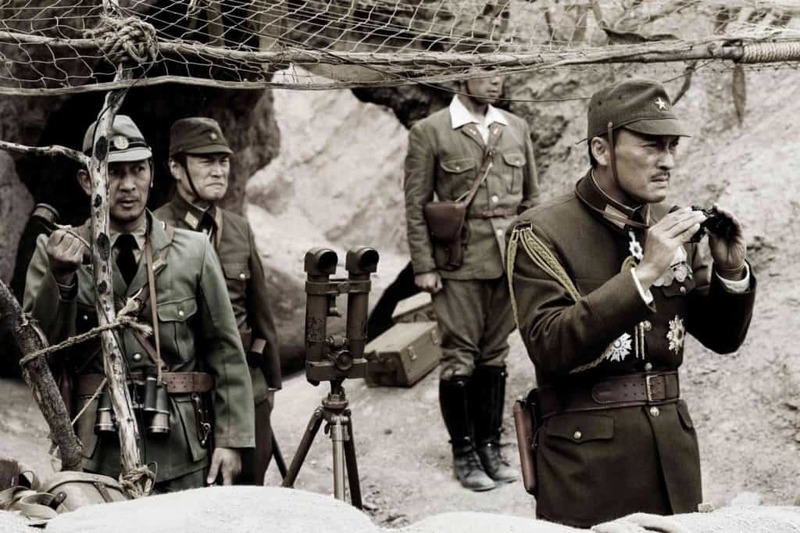 Letters reveal that General, Tadamichi Kuribayashi knows that he and his men won’t be able to survive on the Island, but gives his all using his amazing military skills to keep off American Troops from them. Charlie Wilson’s War tells the remarkable story of the Texas congressman who not only stopped the Russians from overtaking Afghanistan but also led to the collapse of the Soviet Union. With the help of a CIA operative, Charlie Wilson spearheaded to provide millions of dollars in weapons and training to the Mujahideen or the holy warriors who formed the rebel forces of Afghanistan. Tom Hanks portrays the brilliant role of Charlie Wilson with Amy Adams, and Emily Blunt ensemble the cast. The film is based on the real-life escape story of Dieter Dengler. Dieter was the only American POW to ever escape from a camp in the Laotian jungle. The film traces his journey through the fierce wilderness and death-defying prison. It was the indomitable will of the man that keeps him going, and he appears before the press as a handsome gentleman. It’s all about the man’s triumph against impossible odds. Researching a story on shoe bomber Richard Reid, South Asia bureau chief of the Wall Street Journal, Daniel Pearl and his six months pregnant wife, Mariane come to Karachi, Pakistan. Little did they know that their lives were going to change forever as a lead to an elusive source had something else on his mind. On a regular morning, Daniel left his hotel room only to be found nine days later, beheaded and his body decomposed and butchered into ten pieces. The film is based on the spirit of Daniel’s wife, Mariane, her courage and the unflinching belief she held in the power of journalism to bring her husband’s murderer to the peril. It is her memoir in which she tells her unborn son, who will never see his father. The film shows Mariane’s courage to rise above bitterness and hatred that followed the 9/11 attacks. Angelina Jolie’s portrayal of Mariane Pearl is touted as one of her finest performances till date. Based on the true-life story of Bielski Brigade, Defiance is a story of a time when Nazi soldiers slaughtered European Jews in the year 1941. Three brothers Tuvia, Zus, and Asael manage to escape the genocide and take refuge in the forest. 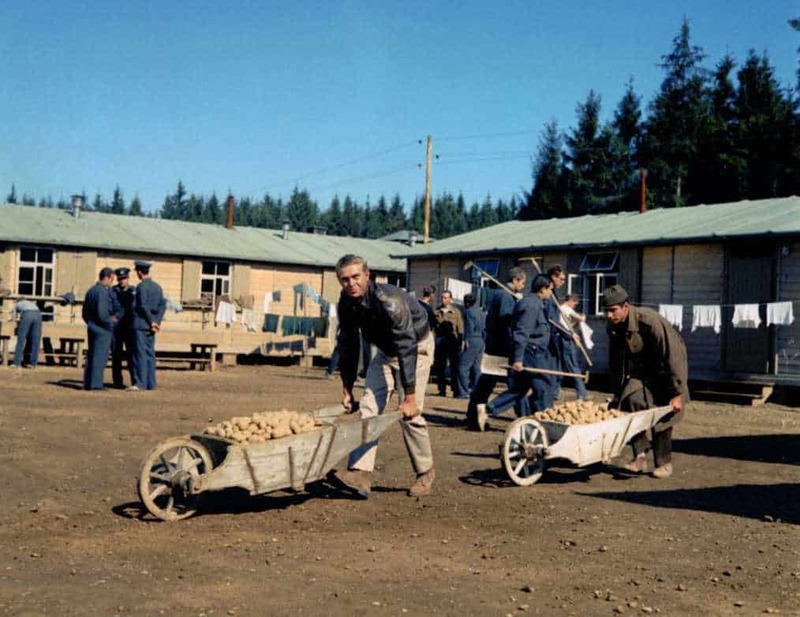 Seeking revenge, they turn their daily life into battle against Nazi and also establish a mobile establishment where many other refugees joined them. 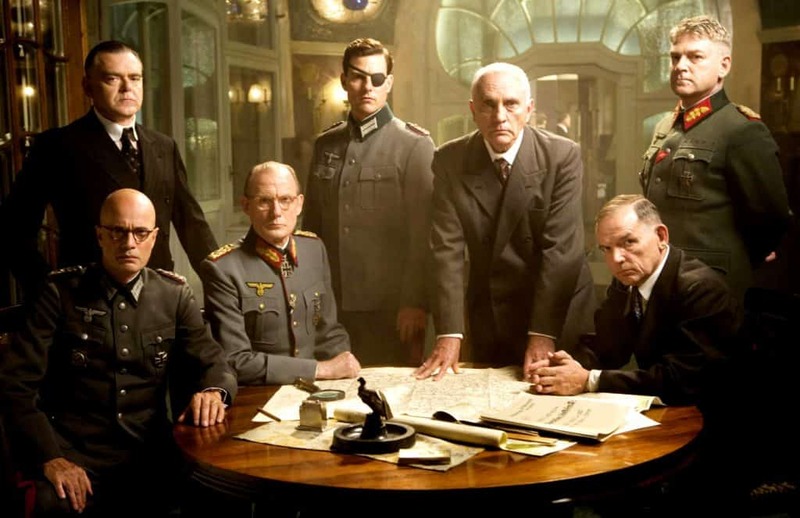 Based on a true story to assassinate Hitler in July 1944, Operation Valkyrie was a joint effort of Hitler’s soldiers to kill him and overthrow the Third Reich. Col. Claus Von Stauffenberg is loyal towards his country and Nazi party, but fears that Hitler will eat the nation. He joins a group of like-minded and high ranking people to overthrow Nazi regime from within. Stauffenberg becomes the main man to assassinate the evil dictator. Not just a story about America’s most famous President, Abraham Lincoln. It is a story about when America was torn due to the Civil war and Slavery was an issue that was eating up Lincoln’s mind. 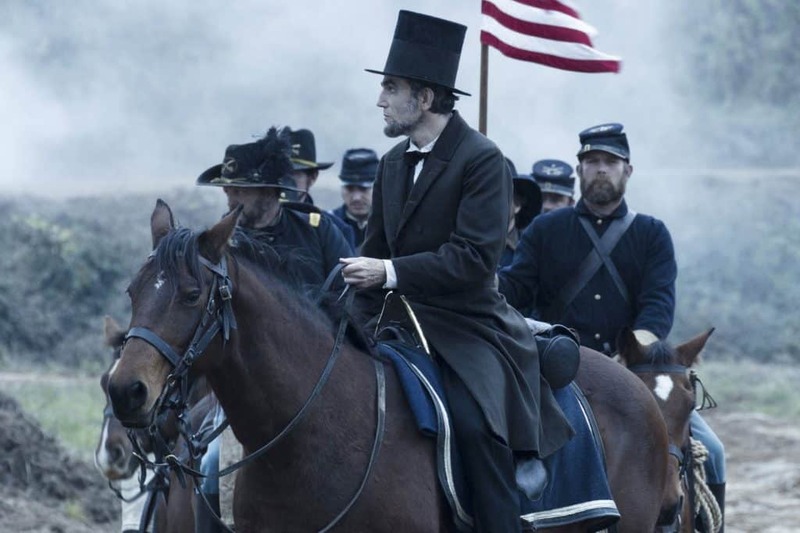 His profound insights, political smartness, and courage that made him end the civil war and abolish slavery from America are what the film is about, and a must watch! Terrance Howard and Cuba Gooding Jr. ensemble in this war film, Redtails, based on the aerial battles during WWII. In the year 1944, the Pentagon leaves no chance to win the war and recruits untested African-American pilots from the experimental Tuskegee training program. Just as they are about to be shelved, they are asked to serve their nation in an aerial duel with the Nazis. These young men call themselves as Red Tails and show their courage on the grandest stage, fighting for their country and the fate of the free world. Set in the year 1979, the Iranian revolutionists have taken 52 Americans hostage at the US Embassy in Tehran. Six manage to escape and take refuge at the residence of the Canadian Ambassador. With innocent lives at stake, one man is sent to save them before time runs out. Tony Mendez (Ben Affleck) is CIA “exfiltration” specialist whose job is cut out, rescue the hostage and get them home safely. 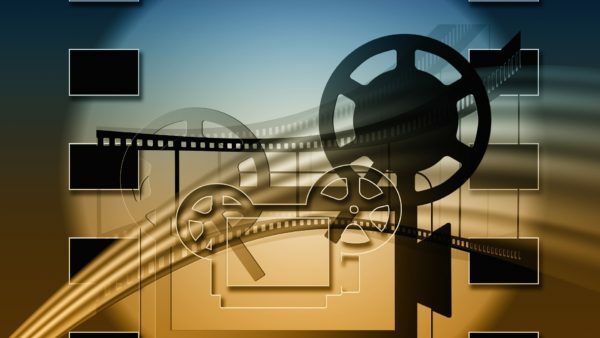 The film is about one of the most daring covert operations to rescue six American and the story that unfolded behind the scenes of the Iran hostage. Tony hatches a plan so incredible, it looks more like a Hollywood film, and no wonder Argo received the Best Picture at the 85th Academy Awards. Many soldiers gave up their lives in the fight against terrorism. Lone Survivor is one such movie. Afghanistan, the year 2005, four Navy SEALS officers go on a mission to do surveillance and kill Taliban Leader Ahmad Shah. During their mission, they come across goat herds but decide not to kill them. But one of the Afghans alert the Taliban group and what comes next is a battle in which SEAL’s find themselves outgunned and outnumbered. What happens when someone tries to hunt their past? Eric Lomax is a former prisoner of war and an ex-British Army officer. One day he gets to know that his torturer is still alive. He along with his wife then sets out to confront the man who changed his life forever. 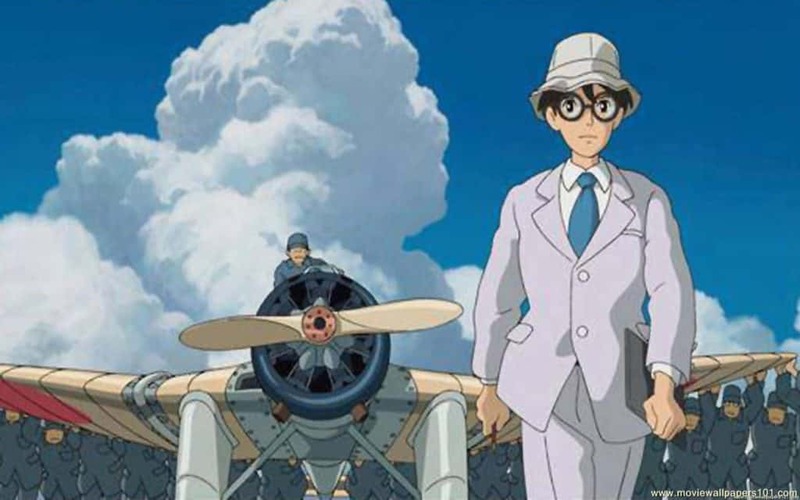 Based on the life of a person created A-6M World War II fighter plane, Japnese aviation engineer Jiro Horikoshi always wanted to fly. Tired of these longings, he sets on a path to create A-6m fighter plane. And the list of creations is endless. 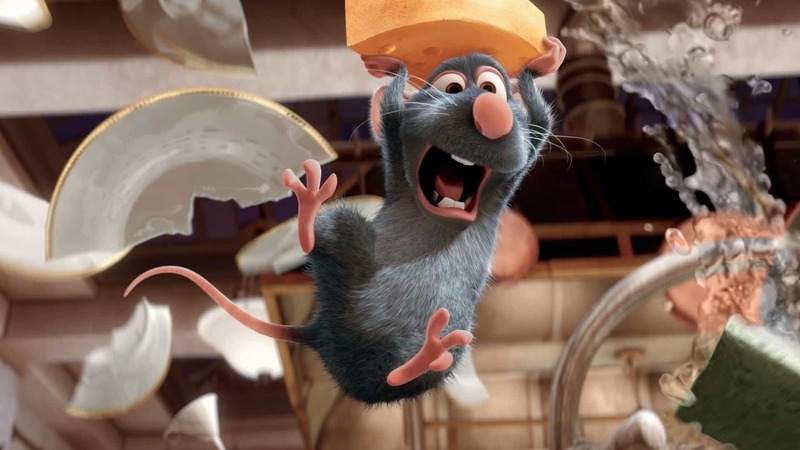 One movie that can teach you to be an innovator for yourself. You gotta save art as well during wars and ‘The Monuments Men’ is all about this. The Monuments Men is an action drama about a WWII platoon set with the task of salvaging the artistic masterpieces from getting destroyed by the invading Nazi thieves. George Clooney, Matt Damon and Cate Blanchett star in this film that is about rescuing not men but art trapped behind enemy lines! With the Germany Army ordered to destroy everything from the Louvre to the Reich fell, it is up to these guys who race against time to save 1000 years of culture from getting perished. Directed by George Clooney, the film essays the struggle of man to keep the some of the greatest creations of humanity. 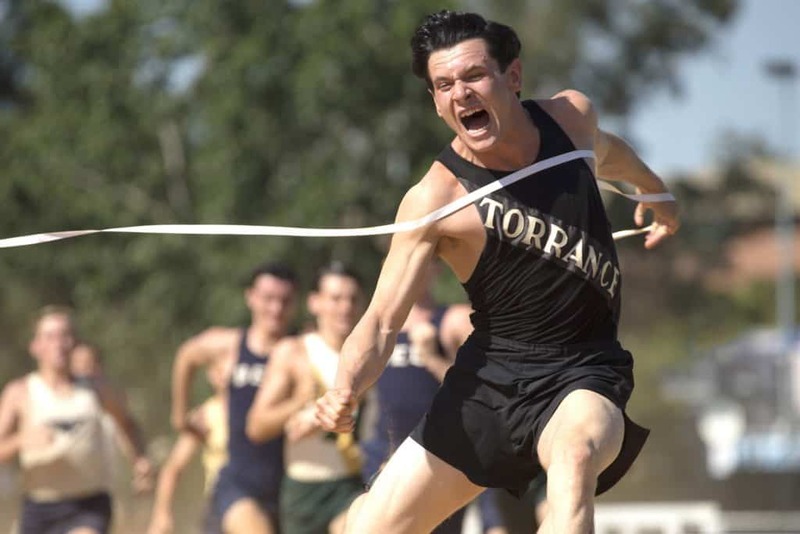 Based on the true-life story of an Olympic qualifying runner, Louis Zamperini was always in trouble as a kid. On the advice of his elder brother, he started channeling his energy into running. A day comes when he qualifies for 1936 Olympic. But World War II changed everything. He enlists in Army, but on a mission, his plane crashes into Pacific. After surviving on an adrift raft for 47 days, he got captured by Japnese Navy and then turned into a prisoner of war. Some soldiers come back from war to their home, but some of them get the war home with them. American Sniper is a true story about Navy SEAL Sniper, Chris Kyle, whose accuracy and skill on the battlefield turned him into a legend. When he comes back from four tours of Iraq, he realizes that he cannot leave the War behind. 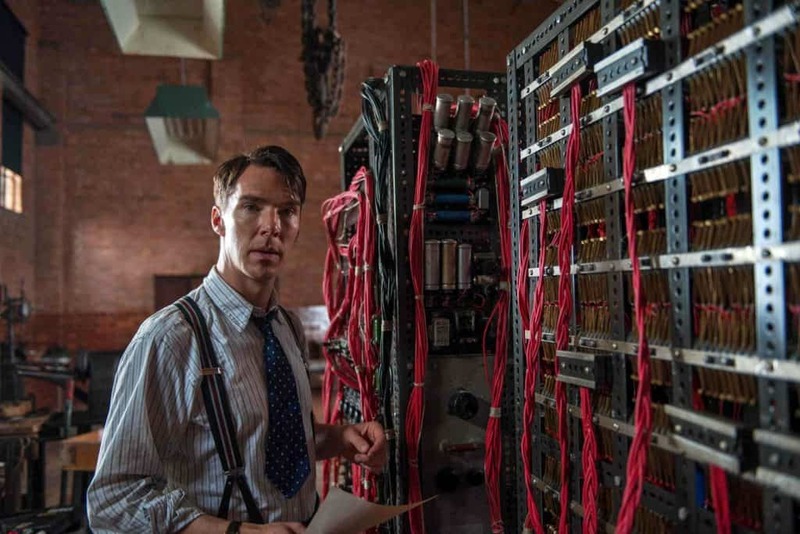 Based on the life of Alan Turing, one of the most celebrated and famous British Scientist, the movie is set in the year 1939, when Turing was hired by MI6 to crack Nazi codes including one of the toughest codes, Enigma- which is still unbroken. Turing’s team succeeds in doing so and also builds a machine that can decipher the codes. But in the year 1952, an unfortunate incident disgraced this genius and authorities accuse him of being Gay and send him to prison. Adapted from a collection of short stories from real life army veterans, Fury is a story about Army Sergeant named War Daddy. In April 1945, when allies were working their way through Europe, Wardaddy commands his band of soldiers and an army veteran on a deadly mission. Outnumbered, no weapons and a rookie soldier in their brigade, they face all kinds of odds to win the battle. Child soldiers are something that we have always heard of but never paid much attention to the issue. Beasts of No Nation is a Netflix original story based on the civil war in Africa. A fierce warlord trains a young orphan boy to join his group of Gorilla Soldiers. We all know what Mel Gibson can do on camera, but in HACKSAW RIDGE he showed what he could do behind the lens as well. Hacksaw Ridge is an extraordinary true story based on the heroics of Desmond Doss [Andrew Garfield] who saved over 70 men in Okinawa during one of the bloodiest battles in WWII. Serving as an Army medic, Doss firmly believed that killing is no answer to war and was the only American Soldier in WWII fighting without a weapon. A one-man army, he singles handily evacuated the wounded from behind enemy lines amidst a barrage of bullets and grenade blasts. Not only did Doss become a war hero, but he was also the first conscientious objector to the Congressional Medal of Honor. “War Dogs” follows two friends from Miami, Efraim, and David who are down on their luck. Set during the Iraq war, the two friends exploit a government initiative to bid on U.S. Military contracts. Starting small, the two pals slowly manage their way in the market eventually landing a whopping 300 million dollar deal to arm the Afghan Military. This lands them in trouble as they are dealing with some real shady people who are not the US Government of the least. The film ANTHROPOID is a true story based on the mission to assassinate SS officer Reinhard Heydrich. 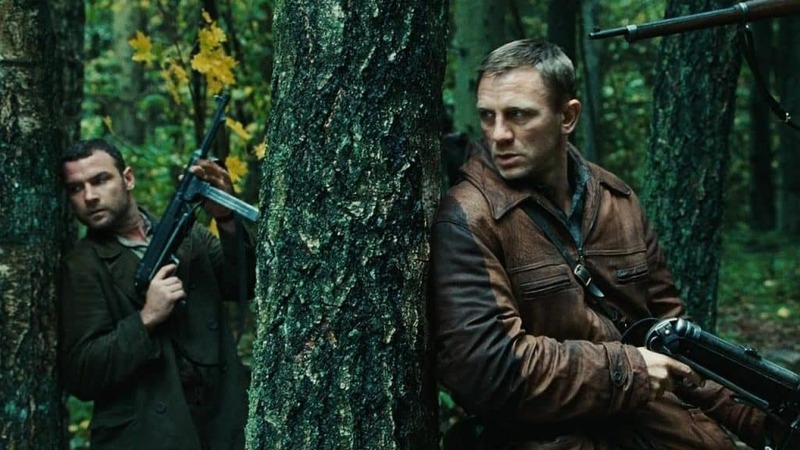 Two soldiers of the Czechoslovakian army-in-exile, Josef Gabčík (Cillian Murphy) and Jan Kubis (Jamie Dornan) are assigned the task. The two men are parachuted into their homeland which is occupied by the Nazi forces. Their mission codenamed “Anthropoid” is to kill Reinhard who is third in command of the Nazi forces and the prime architect of the Final Solution. With little intel and equipment, they head out in this city locked down on a mission that could change the face of Europe and WWII forever. Michael Bay steals the show in this action thriller, 13 Hours: The Secret Soldiers of Benghazi based on the US Army operations in Libya. The film is based on an attack on the U.S. embassy outpost in Benghazi, Libya, that left four Americans dead including the U.S. Ambassador Christopher Stevens. John Krasinski, James Badge Dale, and Pablo Schreiber are part of an ex-military security team that is tasked with protecting a covert CIA base just a mile away from the outpost. What ensues is some massive gunfire and lot of guts. Zookeeper’s Wife is the real-life story of an ordinary working wife and mother who becomes a hero to hundreds during WWII. Set in 1939 in Poland, the film essays the story of Antonina Żabińska and her husband, Dr. Jan Żabiński. When their country is invaded by the Germans, Antonina and Jan begin working with the Resistance to save hundreds of innocent lives. She put herself and her children online amidst the chaos that struck Warsaw in the middle of the WWII. This is a Second World War movie, and Christopher Nolan mastered this (without much dialogues) via three angles: War, Land, and Air. This movie or I can say, more like a brilliant documentary-style film is based on Dunkirk evacuation (Operation Dynamo). We can witness the evacuation of soldiers from the beaches and harbor of Dunkirk. It was not about their victory against the war, but more like, their victory for survival. 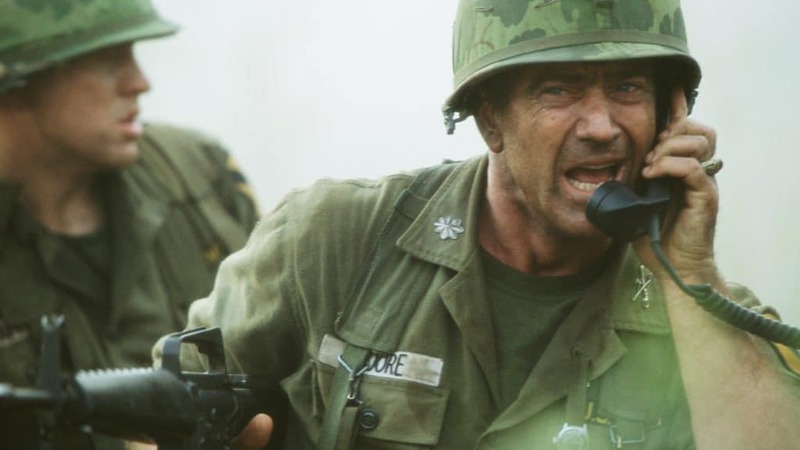 These are some of the best Hollywood war movies based on true stories. Though the list is a little short, these are the best ones that we have personally watched and loved. We managed to include the latest new English War movies and the ones coming out this year as well. Most of these films are also dubbed and available in Indian regional languages like Hindi, Tamil, etc. as well. 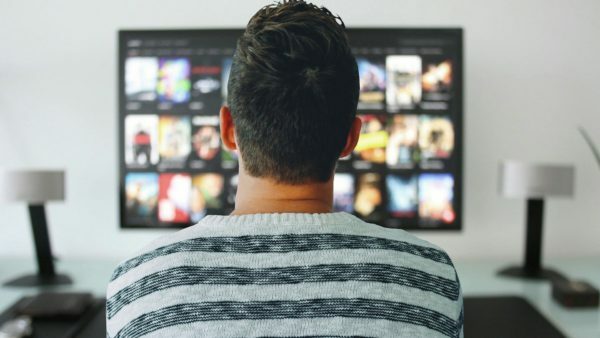 You can watch most of them online (streaming) on YouTube, Hulu, Netflix or Amazon Prime Video. If you wish, you can also download them for offline viewing. In case, you have come across anything more amazing, be it a film or documentary, or even the ones based on books/novels, feel free to share with us, and we shall update the list as well. The list should contain the movie “Bridge too far” too which featured a large number of prominent Hollywood stars. How about black hawk down? 13 hour- secret soldiers of Benghazi no doubt one of the best. 13 hours is my favorite, honorable mentions sniper, lone survivor…. Is spr based on true events? Saving private ryan was based on a true story. Albeit I haven’t seen many of these so I can’t really speak to how good they are, but it disappoints me that Saving Private Ryan did not make the list. Although not a film, the mini-series Band Of Brothers is true and absolutely amazing. Lone survivor is best movie. My favourite recent movie best on a real story is 13 hours: The Secret Soldiers of Benghazi – about the assassination of the US Ambassador in Libya. So so good, would recommend it to anyone who loves this genre. Good list and yes there are some movies not listed that perhaps should have been. Stories based on true stories ? Mmmm a bit to hollywooded if you get my drift. Lone Survivor is about as close as it gets to real, well crafted into a story/movie , my fav by far. No felt-tip markers during WW 2, to the best of my knowledge. Grease pencils were the norm! We used the pencils in Korea late in the 50’s while I was there then. 13 hours is really good ,…. Thanks for sharing this amazing list of war movies. I really loved The imitation Game and Schindler’s List movie. I will watch all other recommended movies from your list. You have prepared an excellent list of Hollywood War movies covering every war based film. But there are some movies I think they deserve to be on your list (hope you will not mind if I post their names) which are as follow. When we talk about war films and if this movie is not on the list then it will be the insult of WAR movies. this movie has some unique way of direction and high class acting by all the actors. I don’t know the reason why didn’t add Braveheart on your list. But I think that this movie really deserves to be on your list mentioned above. The way this film is directed by is fabulous, and Kathryn Bigelow really nailed this movie as a director. I hope you like these movies too, but I just want to know what’s your opinion about these movies. Another gr8 movie: WHERE EAGLES DARE..
Fury, one of the best war based films.Brad Pitt proves that he is good for any character …. What about “the hyena road”? HACKSAW RIDGE is the best — just came out so did not make the list. HACKSAW RIDGE — my favorite. Just came out so did not make the list. Excellent movie! Lone survivor is the best one. Only the dead 2015 documentary/ biography/ history!!! Crazy movie / crazy journalist!! I guess wonder women might find a place in this post. One more movie that can be added is the Rise of Planet Apes series. Nolan’s Dunkirk is such a wonderful IMAX experience for me. Want him to make more such films! Based on journalist Martha Raddatz’s same-named best-seller, “The Long Road Home” dramatizes the heroism on the front lines of the Iraq War. On April 4, 2004 — a day that came to be known in military annals as “Black Sunday” — the 1st Cavalry Division from Fort Hood was brutally ambushed, an incident that changed the U.S. military’s view of Iraq from a peacekeeping mission to a fight against domestic insurgents. Across eight episodes, the series cuts between the battle in Iraq and the home front in Texas, where wives and families anxiously await news for 48 agonizing hours. I prefer “The Longest Day” over “Saving Private Ryan” and “Tora Tora Tora” or 1944’s “Thirty Seconds Over Tokyo,” over Pearl Harbor as being more fact than fiction. Other than the opening minutes of Private Ryan and Pearl Harbor the stories änd characters are fiction. Lone survivor is the best war movie ever made in the history of Cinema… without of any second thought…. My faveroute movie is fury. Very good scene and action ..